If nothing works in Windows 8, even after restarting Windows 8, this can be done with help of the Windows-8 Installation DVD for troubleshoot, repair or recovery of Windows 8! This solution is also for Win 7 and Server 2008, 2012! 2. Repair installation of windows 8 or 8.1 via upgrade from Win 8 to Win 8 or 8.1 to 8.1! 1. 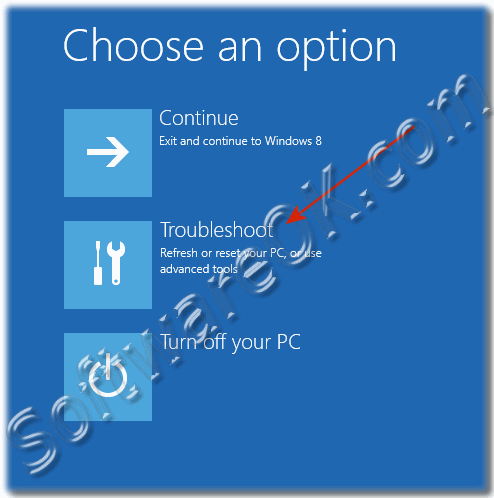 Troubleshoot the Windows 8 (8.1)! Simply insert the installation disc of Windows 8 in the DVD drive and restart the computer. After selecting the language comes the confirmation of the Windows installation-8, here you choose not to install but the item "Repair Your Computer"
And then choose the Option "Troubleshoot"
(Image-1) Repair your Windows-8 Computer! (Image-2) Troubleshoot Windows-8 with installations DVD! 2. Repair installation windows 8 or 8.1 via update from Win 8 to Win 8 or 8.1 to 8.1! Insert the original installations DVD and select Install (... see Image-3 Arrow-1) and do upgrade from Windows 8 to Windows 8 (... see Image-4 Arrow-1) this will also repair your Windows 8! repair install Windows 8 and 8.1 installations DVD! Upgrade install to recovery Windows 8 or 8.1! Windows-8 - FAQ-26: Troubleshoot, repair or recovery Windows 8 and 8.1 with Windows 8 (8.1) Installations DVD! Pc settings windows 8 and 8.1 repair, repair windows 8 and 8.1 using disc? Error restart problem in windows 8? How to repair windows 8 and 8.1 using disc? How to repair windows 8 install, How to repair windows 8 and 8.1 with dvd? Samsung windows 8 and 8.1 recovery options hotkey? Windows 8.1 recovery samsung, Software to repair missing cd/dvd in win 8 and 8.1? Recovery option for samsung windows 8 and 8.1? Windows 8 and 8.1 repair dvd, how to reinstall windows 8 and 8.1 with dvd? How to recover windows 8 and 8.1 without recovery disc? Repair windows 8 using dvd, how to reinstall windows 8 and 8.1 from dvd? How to fix windows 8.1 apps without cd, repair windows 8 install? Installation DVD to repair or recovery the Windows 8. Recovery windows8, windows 8 and 8.1 fix dvd? How to do windows repair from windows 8.1 dvd, activare dvd win 8 and 8.1? Can u repair windows 8.1 with install disk? 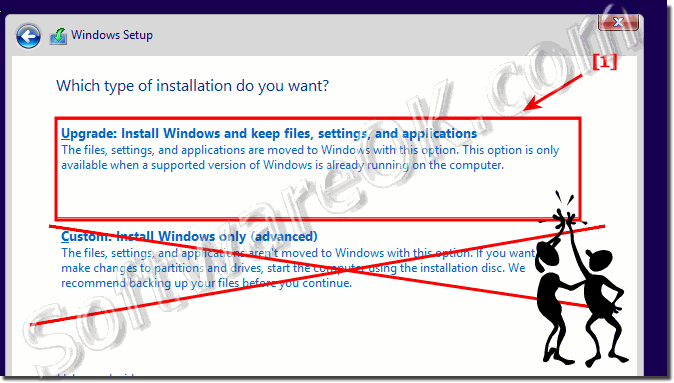 How to install windows 8.1 through recovery disk? How to recover mak from windows 8.1 installation? Using windows server 2012 repair your computer? Repair windows server 2012 installation with windows disc? Windows 8.1 repair mode without dvd, how to repair using windows 8 from cd? Windows 8.1 dvd repair, how to repair windows 8 and 8.1 from disc? Windows 8 repair DVD, how to repair win 8 from dvd? Without repair point, repair windows 8 and 8.1? Repair install windows 8 and 8.1? How to recover windows 8 installation cd, repair windows 8 cmd? Fixing dvd on windows 8, reparere windows 8? Eepair option windows 8 and 8.1 installation, repair windows 8 dvd? How to recover windows 8.1 enterprise, recover windows 8 with dvd? DVF repair windows 8, computer repair pictures windows 8? Repair windows 8 from installation dvd eg. repair windows 8 installation disc? Windows 8.1 install disk as repair? Windows 8 and 8.1 repair from dvd? Win8 repair with dvd how to? 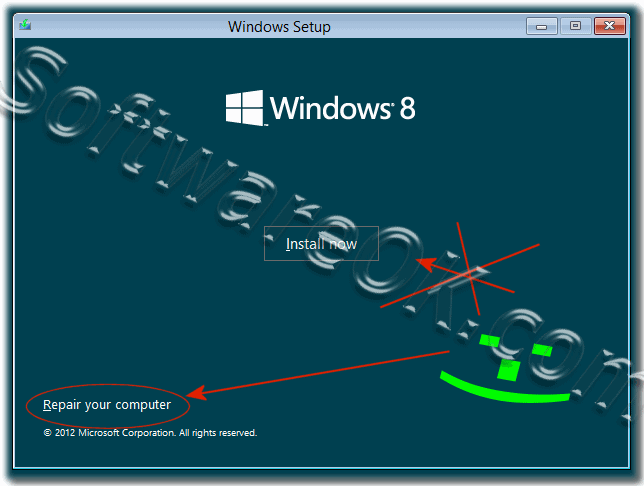 Repair windows 8.1 installation from install cd, repair from windows 8 cd? Dvd fix windows 8, repair windows 8.1 with dvd? How repair windows 8 if you dont have recovery disk? How can i repair windows 8.1 using the disk, troubleshoot windows 8 and 8.1 cmd? Repairing windows 8 with dvd boot? How to Troubleshoot the Windows 8 with Windows 8 and 8.1 Installation DVD? Windows 8 cmd recovery, windows 8 and 8.1 repair install? How to repair windows 8 and 8.1 with cd, fixing dvd windows 8 and 8.1? 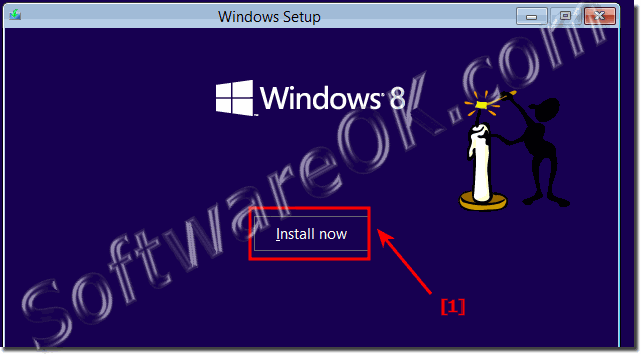 How to repair install windows 8 and 8.1 using installer disk? Using disk to repair windows 8?